Representing a desire for emancipation, freedom and responsibility, L’Heure Rouge, the theme of the 2018 edition of DAK’ART Biennale allowed artists and organizers of IN and OFF events to tell their stories and feelings, with authenticity, creativity and self-knowledge. Whilst the main Biennale exhibitions are usually the focus of attention, and rightly so, the OFF Dak’Art exhibitions are equally important and often the place for surprises. Although the Biennale ended on June 2, the expositions are still exciting to remember. We have four OFF exhibitions from a long list that were worth visiting. I Be Lady O at the Heinrich Böll Foundation, Point E, Dakar. 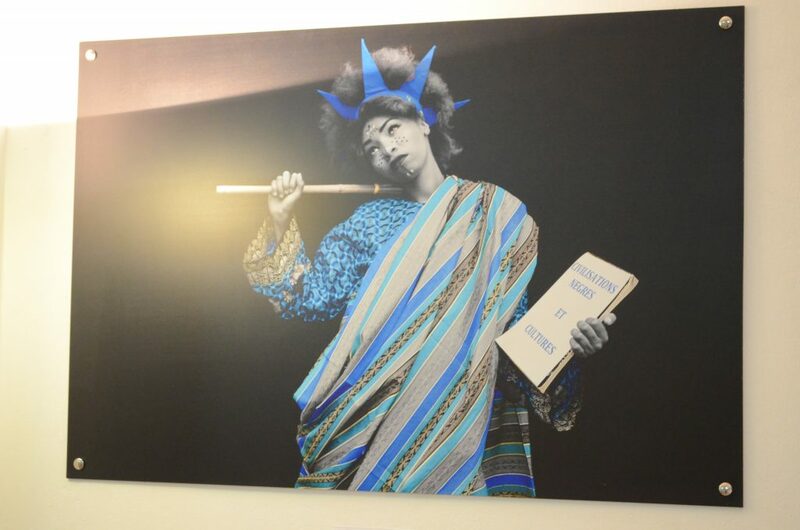 At the Heinrich Böll Foundation entrance, a ginormous portrait painting of Nigerian activist Funmilayo Ransome-Kuti (1900-1978) is still welcoming visitors. Hypnotizing and quite surreal, it both embodies the resilience of a fighter and the tenderness of a nurturing mother. 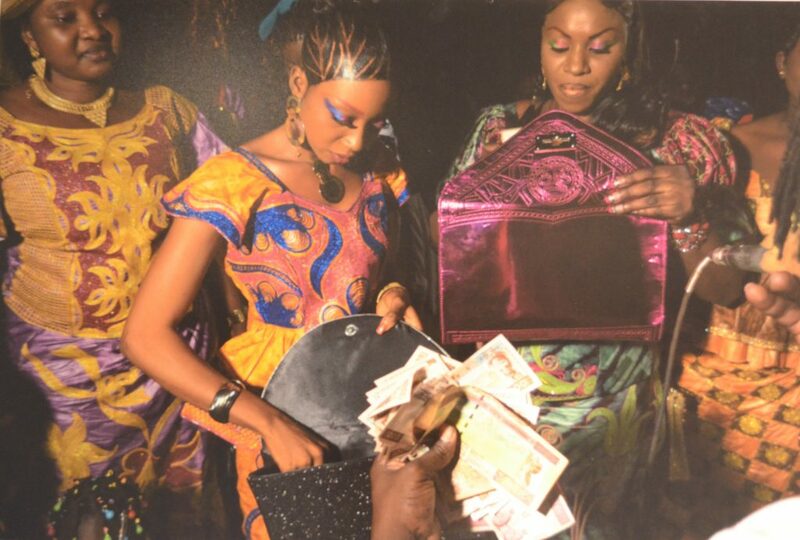 Curated by young Senegalese researcher Fatou Kiné Diouf, I Be Lady O is a mixed-media exhibition examining women’s rights movement in Africa and beyond. Paying homage to Funmilayo Ransome-Kuti, the leading advocate of feminism in Nigeria during colonial times, and mother of famous musician Fela Kuti, I Be Lady O stands as a great artistic, social and cultural project. “It brings together women from diverse origins, different fields and all generations so that they can meet and discuss the legacies of past heroines and today’s role models. Speaking out is at the core of this residency”, explains Diouf. 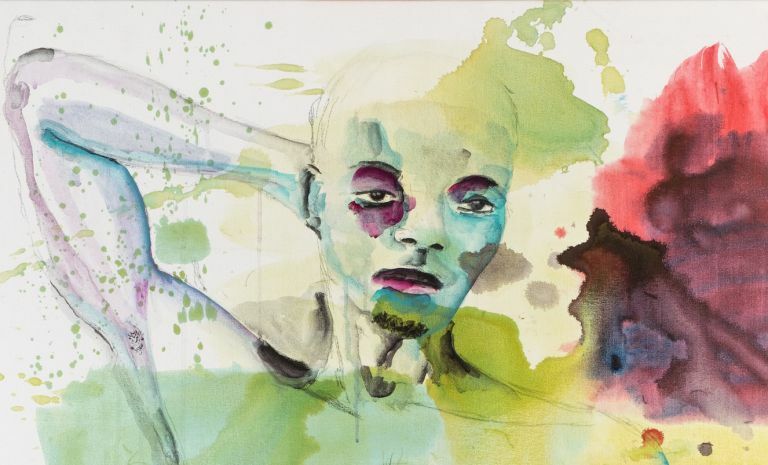 Through hip-hop music, mural art, literature, photography and video, the exhibition explores the joys, struggles and pitfalls that come along with womanhood. No stone was left unturned. Despite remarkable achievements in gender equality and women’s rights in the last decades, for participating artists, more has to be said and done. Thus, the idea goes beyond changing the patriarchal system. In fact, I Be Lady O wishes to deconstruct pre-established social roles and strike up a continuous conversation on issues specific to African women. Surely, with installations such as this one, Funmilayo Ransome-Kuti’s legacy is still alive and well. Held from May 2nd to June 2nd at the Heinrich Böll Foundation in Point E, Dakar, ‘I Be Lady O’ featured music performances from Anta, Lady Zee, Venus and Lyna Benzakour, photographs from Fatou Kandé Senghor and Nathalie Guironnet, mural painting from Helen Bur, and texts from Aisha Dème, Fatime Faye and Fatou Faye. The bell of the ants (La cloche des fourmis) at the old Malian market in Plateau, Dakar. More than a year since he passed on, it feels as though multifaceted Senegalese artist Issa Samb, generally known as Joe Ouakam, never really left. This Biennale edition being the first one held in his absence, Laboratoire Agit’art, an artistic and experimental place/collective he co-founded in 1973, initiated The bell of the ants (La cloche des fourmis) exhibition. Gathering more than 30 artists coming from Europe and Africa, this project was a meaningful way to commemorate and celebrate his life. 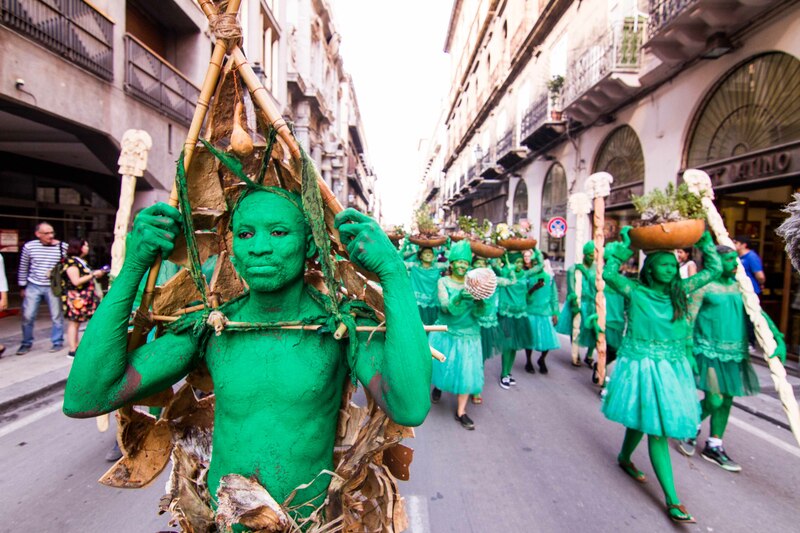 Along with artistic performances, conferences and a big free concert, this collective show accurately reflected Joe Ouakam’s spirit: unconventional, versatile and willfully unclassifiable. Organized in diverse installations, works of art ranged from paintings to clothing, miniature cars, photographs, sculptures and more. Without a doubt, the highlight of this exhibition was a troubling sculpture of Joe Ouakam, with incredibly realistic features. It was made by French artist Claire Lamarque, as part of the Alem L’a-Venir exhibition (2017) in Dakar. “To me, nothing has changed. I don’t even feel like he’s not here anymore. At Laboratoire Agit’art, death doesn’t exist. Joe Ouakam is in the eternal present” confided Ican Ramageli, art director of the collective and close collaborator of the late renowned artist. 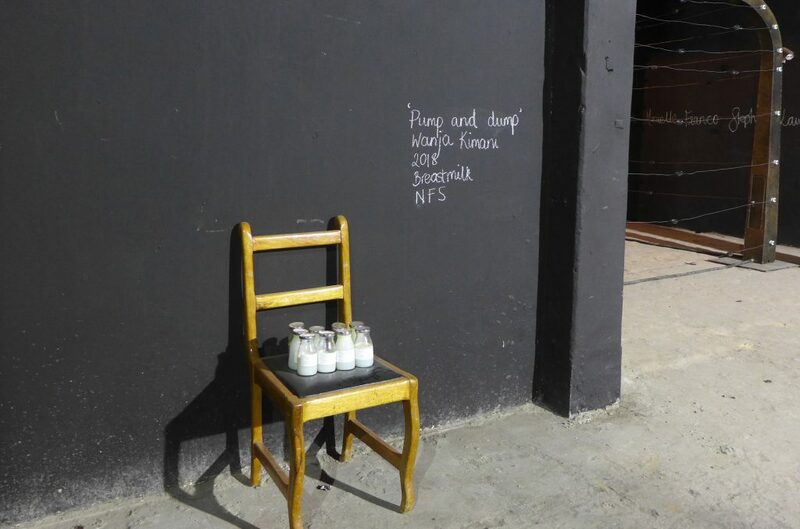 Held from May 3rd to June 2nd at the old Malian market in Dakar, ‘La cloche des fourmis – The bell of the ants’ featured works from Laboratoire Agit’art collective members but also guest artists from Senegal and the European Union National Institutes for Culture (EUNIC) group. Those include Maimouna Guerresi, Annable Maccourts, Mansour Ciss Kanakassy, Jems Robert Koko Bi, Alioune Diouf, Ican Ramageli, Babacar Traoré aka Doli, Claire Lamarque, Docta, Selly Raby Kane, Bass Design, Bassirou Wade, Babacar Top, and Oumou Sy, among others. theMatter #1 at the Immeuble Grey, Almadies, Dakar. A hidden gem of this Biennale edition, theMatter is a multidisciplinary project curated by French producers Thomas P. Cazenave and Bénédicte Samson. 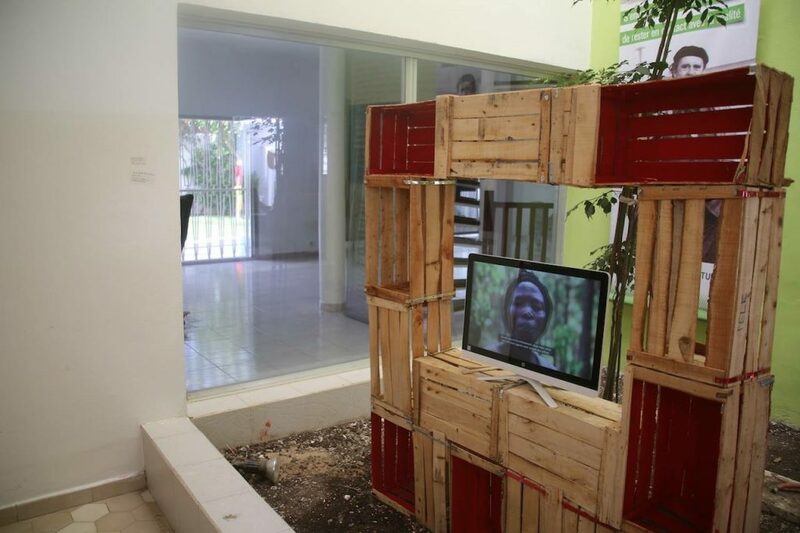 Hosting eight exhibitions, including two works made during artistic residencies at Immeuble Grey, it featured works from nine artists coming from Morocco, Senegal, France, Mali, Algeria, Burkina-Faso and Congo-Brazzaville. “theMatter expresses a desire to go to the heart of things and matters, towards emotion and sensitivity, without long chitchats, to better sense, simply”, says Cazenave. 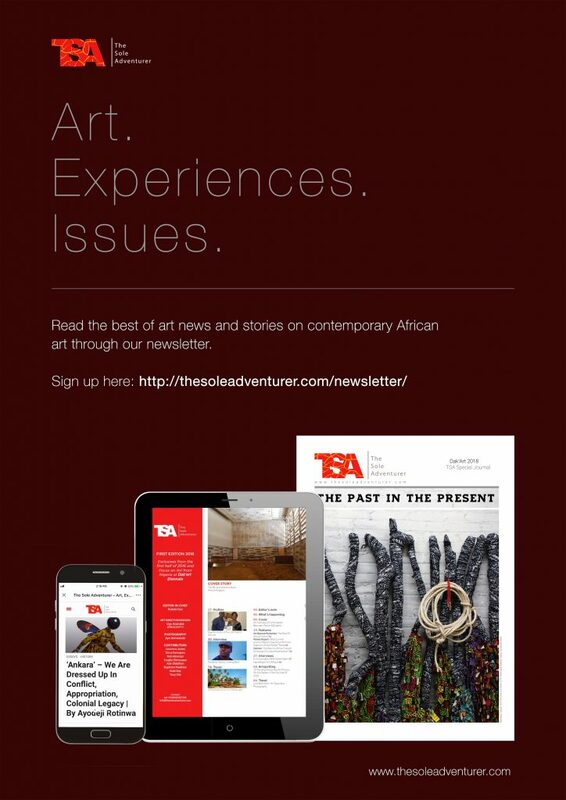 The purpose consisted of showcasing artistic plurality within Africa and its diaspora. As visitors worked their way up to the Immeuble Grey, an impressive building under construction in Almadies, they got to discover the work of legendary artist Sory Sanlé, who captured West Africa’s cultural explosion in post-colonial times, painter Dalila Dalléas Bouzar’s touching portraits of bystanders in Dakar, photographer Youri Lenquette’s compilation of decades navigating through the nightlife in various African countries, and illustrator Ablaye Ndiaye Thiossane’s vivid replicas of notorious super-hero movie posters, among other contributions. Not to be forgotten, Franco-Congolese artist Benjamin Biayenda’s contribution to this group show was quite a very pleasant surprise. 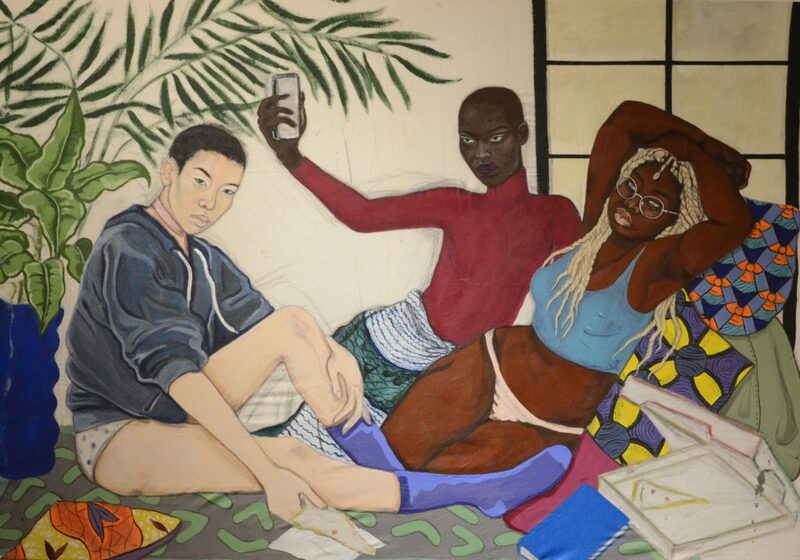 An outstanding young talent –aged only 20 years old, Biayenda presented one of the most exciting OFF exhibitions, showing a tremendous fascination with black women and Africa’s influence on the millennial generation. Definitely, theMatter was a must-see and we can’t stress enough how much we’re looking forward to attending the 2nd edition. Held from May 3rd to 20th at the Immeuble Grey in Almadies, Dakar, theMatter #1 featured works from Amadou Sanogo, Yassine Balbzioui, Dalila Dalléas Bouzar, Benjamin Biayenda, Serigne Mbaye Camara, Djibathen Sambou, Ablaye Thiossane, Sanlé Sory and Youri Lenquette. African World Vision at La Maison Jaune, Plateau, Dakar. 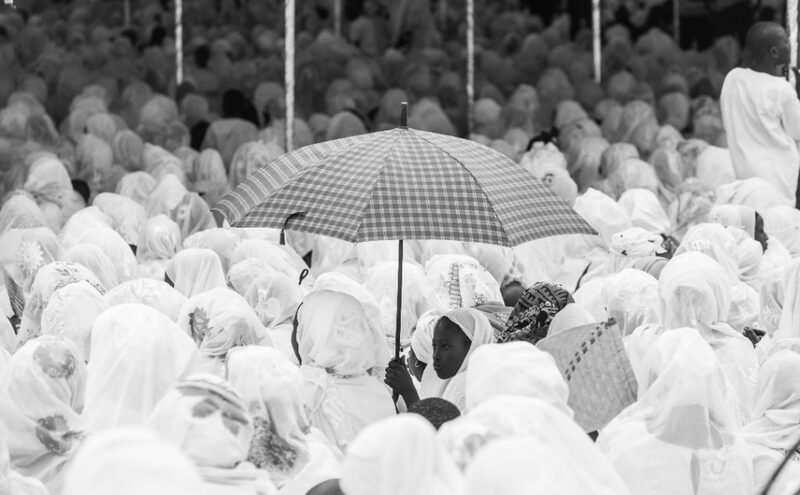 What if, for a moment, it was possible to look at the world through an African’s eyes? 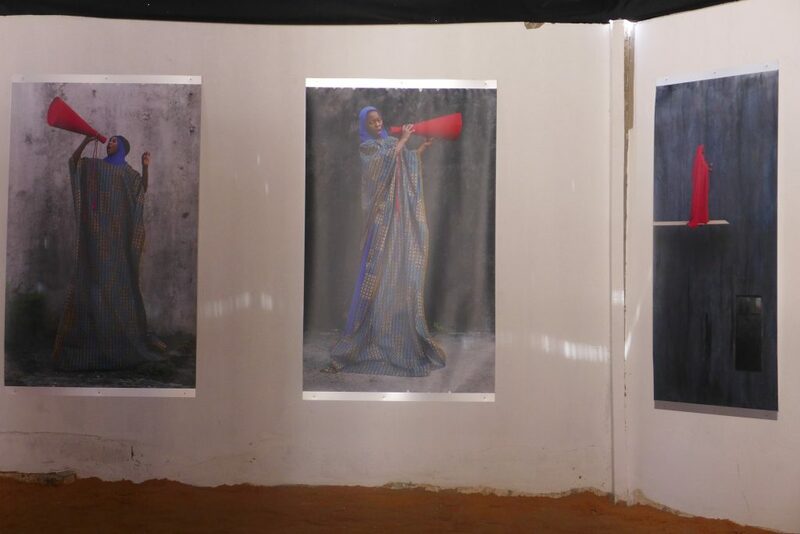 With the African World Vision exhibition, Senegalese photographer Fama Diouf just made that idea a reality. Along with her impeccable photography skills, this presentation certainly owes its success to the particular gifts of make-up artist Tahicia Gomes and designer Enzo Itzaky. Indeed, this teamwork gave birth to refreshing depictions of historical figures. As Diouf indicated, African World Vision is the sum of “figures from different eras and widely known cultures, brought together in order to share their stories in an African universe”. She added that it is a mix of multiple colours to recreate a cosmopolitan version of the continent. From Nefertiti to King Louis XIV, the Queen of Saba (or Sheba), the Empress Sissi, the Greek god Zeus and the Statue of Liberty, as much as you thought you knew them, these revisited portraits naturally force you to rethink your own perception. Be it with typical African fabrics, such as woven loincloth, or natural hairstyles, every major historical figure featured in this project revealed new secrets. Including the mysterious Mona Lisa and her intense gaze. Carefully printed on aluminium, these portraits were made to be inscribed in timelessness, just like the lasting impact of the chosen figures. Last but not least, African World Vision produced its very own clothing collection. Not yet for sale, it attracted the interest of several visitors. 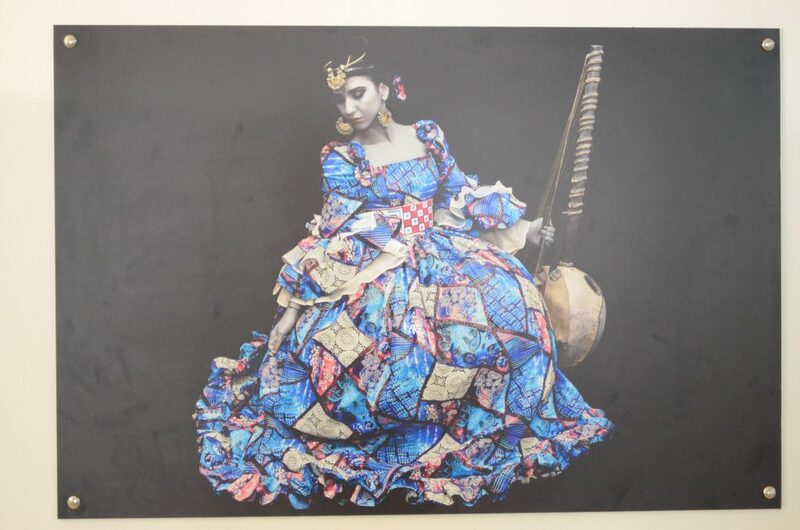 Held from May 1st through 20th at La Maison Jaune in Plateau, Dakar, ‘African World Vision’ displayed photographic work of Fama Diouf, make-up art from Tahicia Gomes and design from Enzo Itzaky.